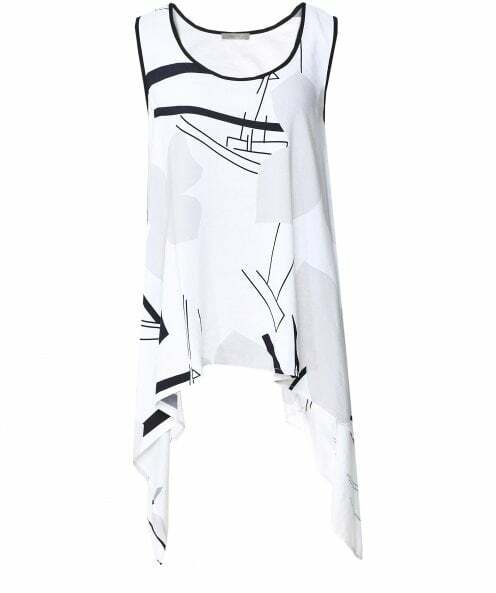 Get a stylish summery look with the Crea Concept floral print vest top. Crafted from a lightweight linen blend fabric that will keep you cool on warm days, this delicate top features a scoop neck and asymmetrical waterfall hem. Style your Crea Concept top with relaxed trousers and sandals for a chic seasonal ensemble.